It’s that time of year again! 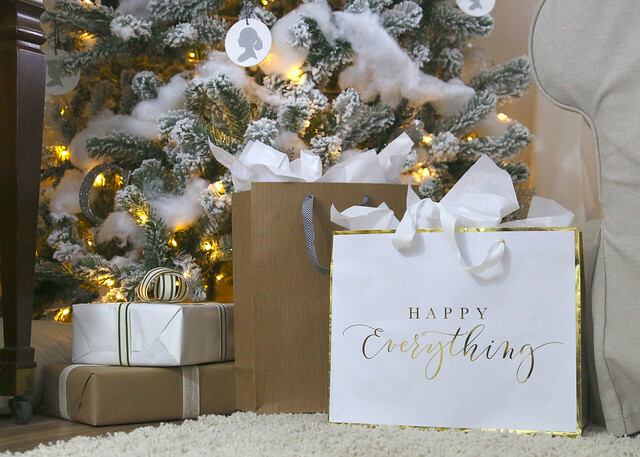 ‘Tis the season for holiday decorations, package wrapping, and cheer. 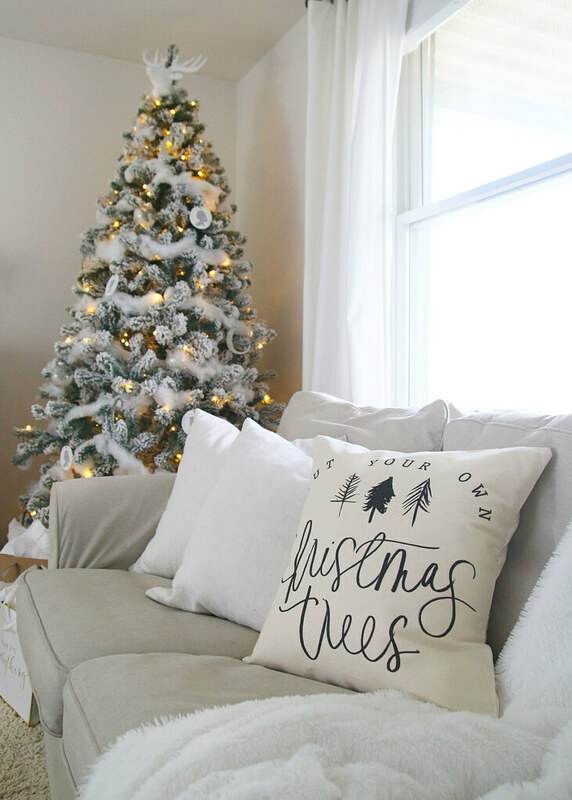 Our house recently got a little lovin’ in the decor department and I can’t wait to share our White Farmhouse Christmas Living Room with you today. 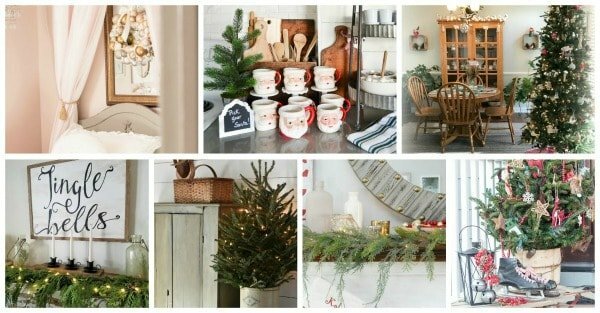 I’m super excited to be participating in the Home For The Holidays Christmas Tour Hop (along with 33 other talented home decor bloggers) hosted by Jenna at Wife In Progress. If you are stopping by from Twelve on Main, Welcome! I’m so glad you are here! Let’s start working our way around the room! 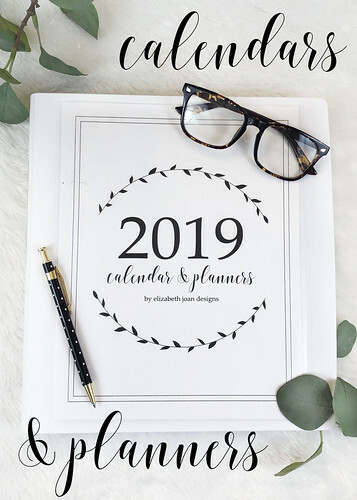 This year, we are keeping things pretty & simple. 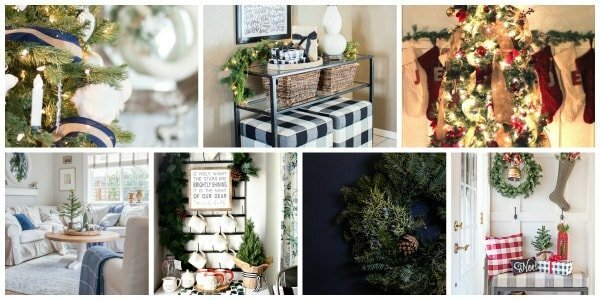 Since we are expecting a new arrival in late winter/early spring, our minds have been busy with trying to figure out how we are going to get through the massive to-do list we have vs. decorating for Christmas. Our living room is looking pretty lovely though! 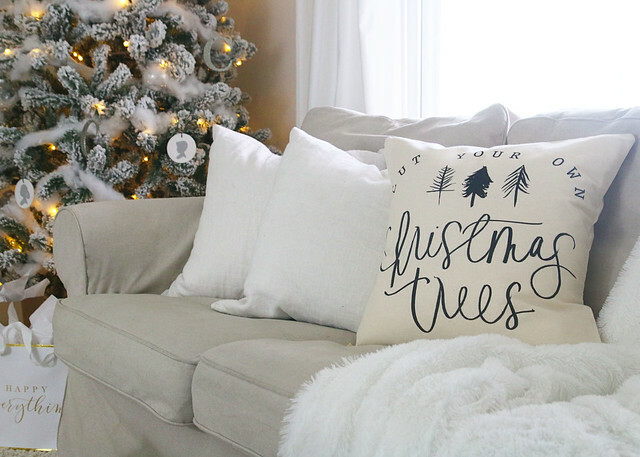 I’m always one for neutral decor and the holidays are no different. Bringing in more natural wood tones this year helped to compliment the greens of winter. We also added some flocked pieces, like wreaths and garlands. I figured that they would go well with the new flocked Christmas tree we splurged on this year! How fun is this pillow I snagged from PCBHome?! 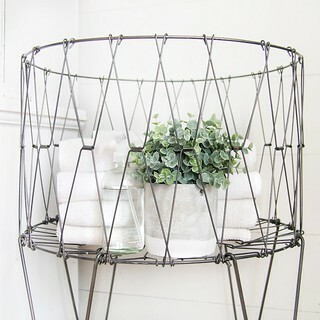 It goes perfectly with the neutral look we are rocking while still adding a little bit of whimsy. Look at that beautiful Christmas tree below!!! The tree is a little smaller than our previous one, so it’s been fun trying to figure out exactly where we want to put it. (It fits in so many more places!) At first, it was on the other side of the room by the t.v., but I think it works better over here next to the sofa. There is still a lot of wrapping to get accomplished before December 25th, but I’m happy to report that we have almost all of the presents purchased. That is a real accomplishment in this household. Usually, we are pushing up until Christmas Eve! Since we purchased a new tree this year, I kept the ornaments the same as last year. Between that and the pre-lit tree, decorating was a breeze. 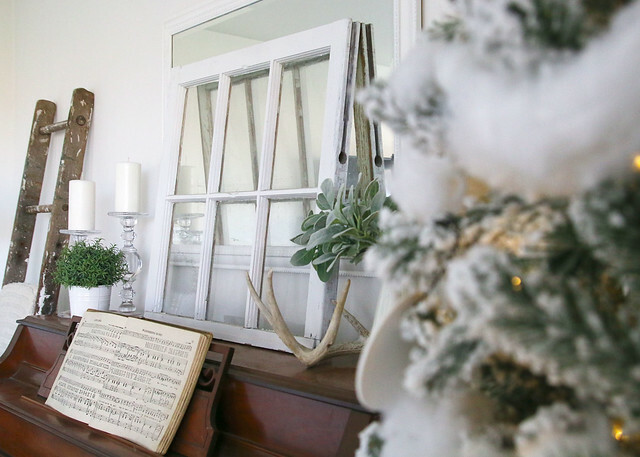 We don’t have a mantel in our home, so I always let the top of our piano pretend like it is one and decorate as such. 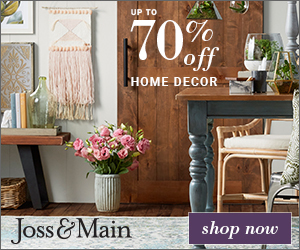 Just a few pieces pulled from around the home create a collected and cohesive look. And that brings us back to the entryway. I love how light and bright this area is looking. It has definitely come a long way since last year! My favorite part of this space is still this antique typewriter that belonged to my grandmother. 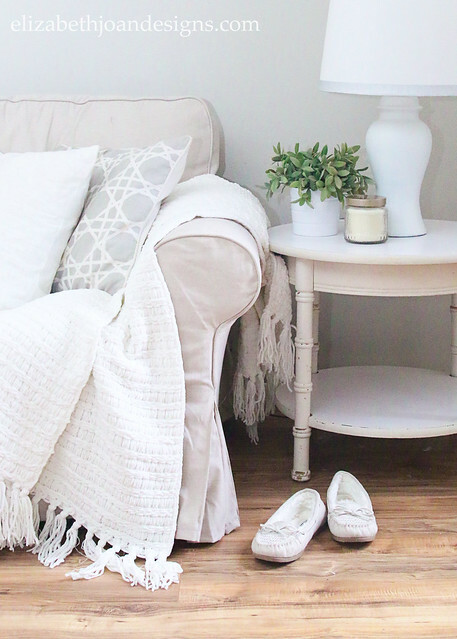 We love having sentimental pieces in our home! 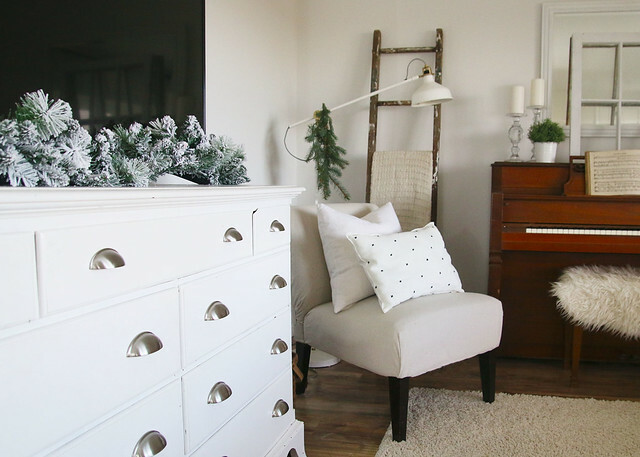 I hope you enjoyed seeing our White Farmhouse Christmas Living Room! 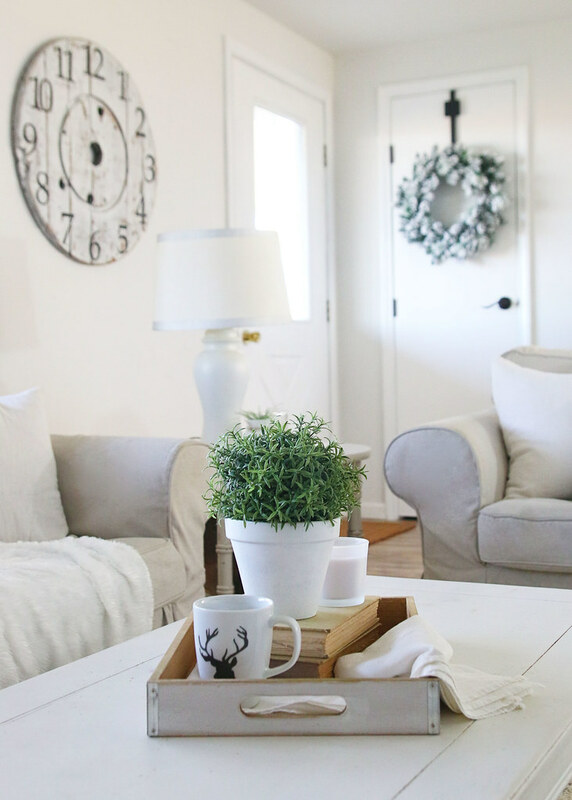 Your next stop on this blog hop is Ashley from Little Glass Jar who is sharing a beautiful home tour. You won’t be disappointed! I love all of the white! Your living room is gorgeous!!! It is fun touring with you this week! Have a wonderful Christmas! No one does white and neutral better than you, friend!! So truly beautiful! 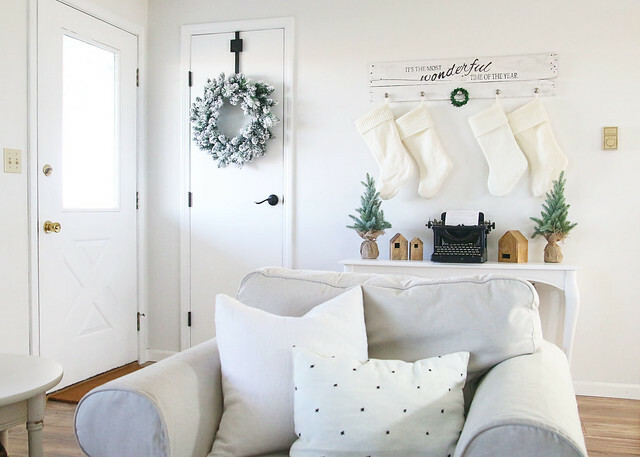 I love your stocking hanger and perfect that it’s all ready for your addition! xo So fun being on this tour with you! 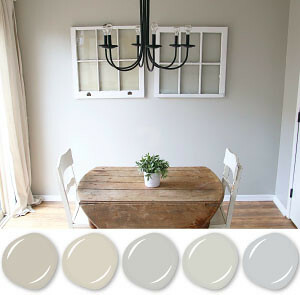 Love all the neutrals! 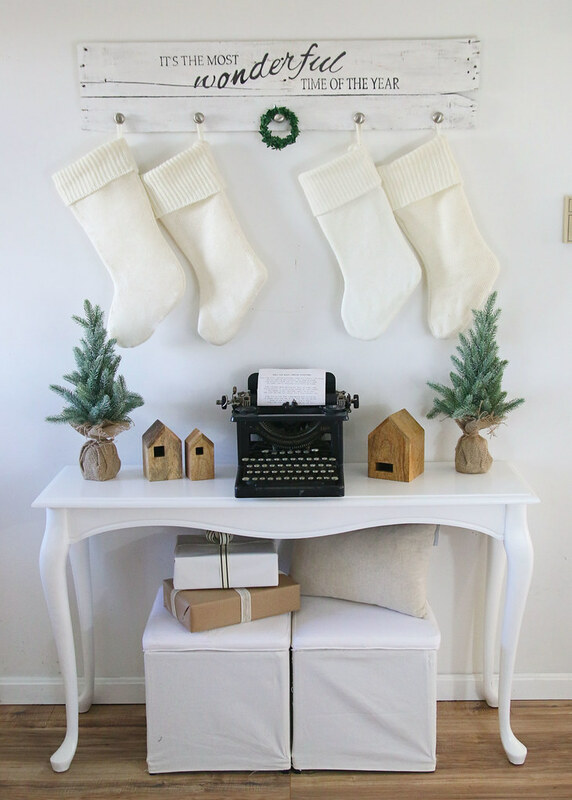 The stockings and vintage typewriter look so cute. 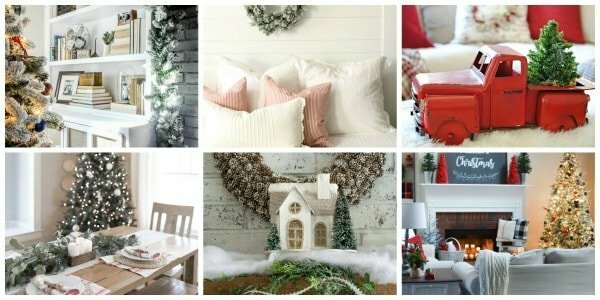 Love the white on white decorations. The black print on the pillows and signage really adds nice pop. 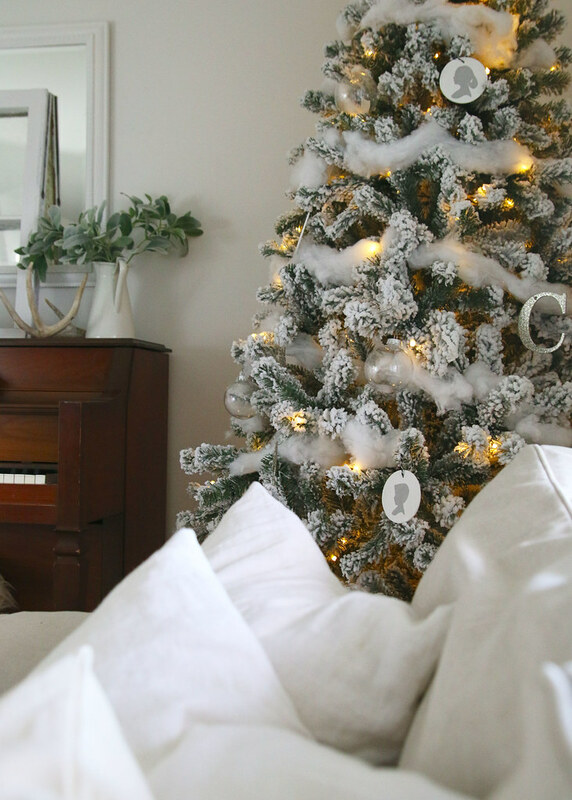 All the snowy accents adds such lovely softness throughout. 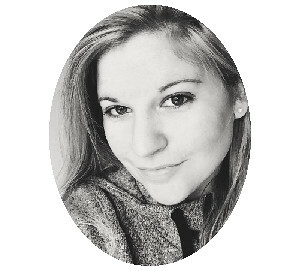 Happy to be on the blog hop with you. 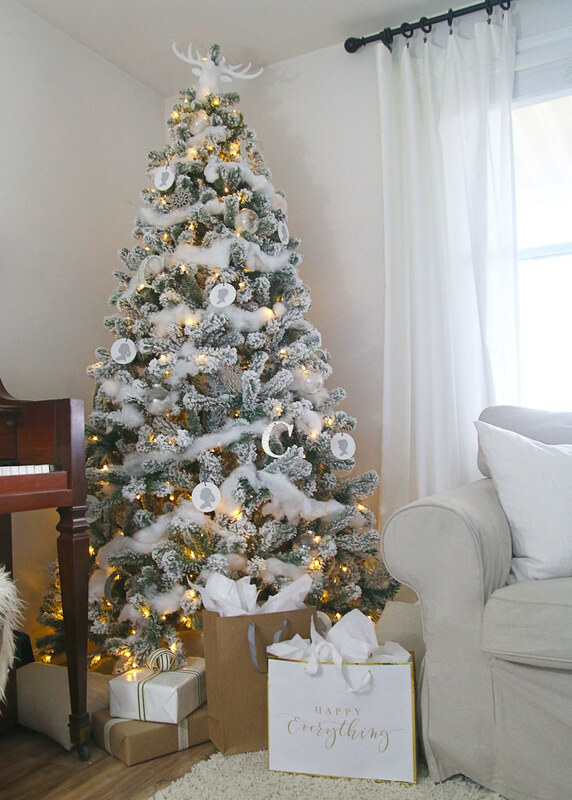 I love your neutral and white Christmas decor! 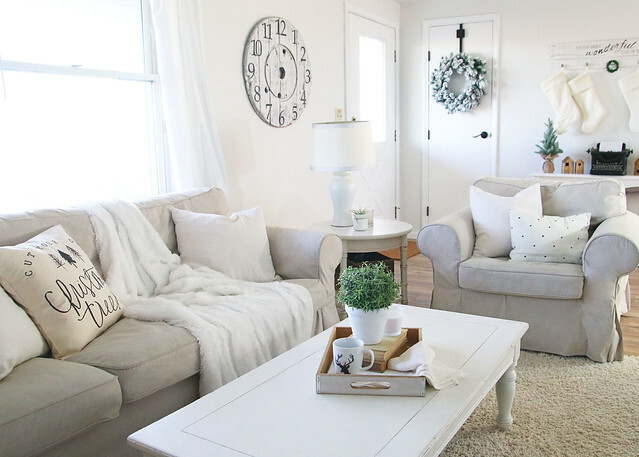 I love your white Christmas living room! So pretty!! Everything is so pretty as always! 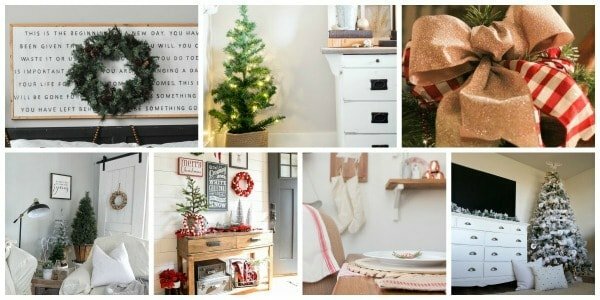 Love your tree and your stocking hanger! Happy holidays, friend! This is so pretty! I love how light and bright everything is! Very cheerful. 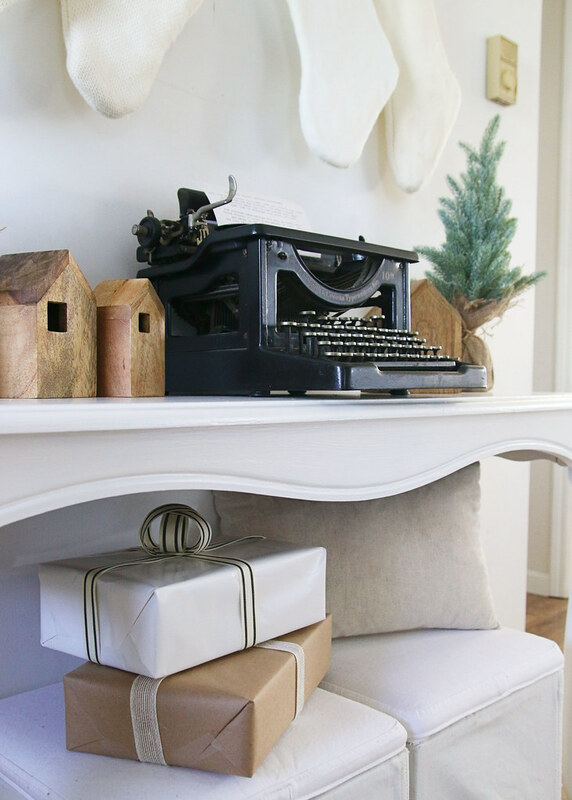 What an adorable place to hang the stockings above the vintage typewriter! 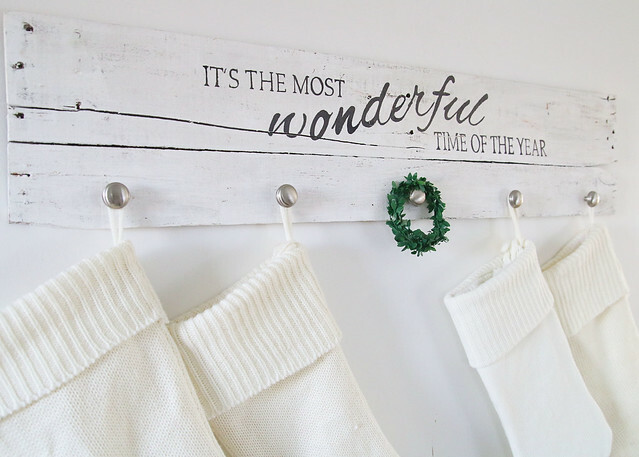 That stocking holder is the cutest thing I have seen in a long time! I love it! 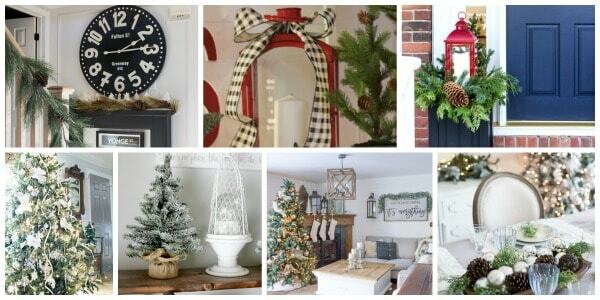 What a gorgeous home you have – and I love it all dolled up for Christmas! Such a beautiful home!! I love it! That stocking holder thenthe table and accessories is my favorite!! Your living room is so beautiful. Thanks for the inspiration.